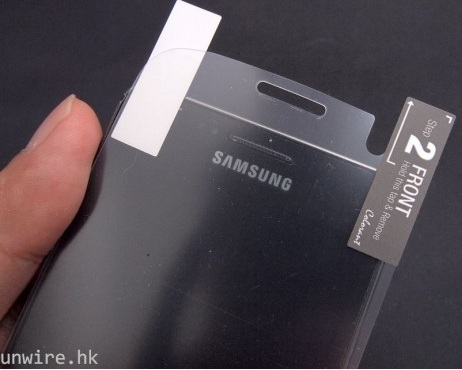 Just a few hours before the much awaited launch of the ‘Next Galaxy’ (Galaxy S III) by Samsung, we get to see a probable screen protector designed for the device coming out in the open. 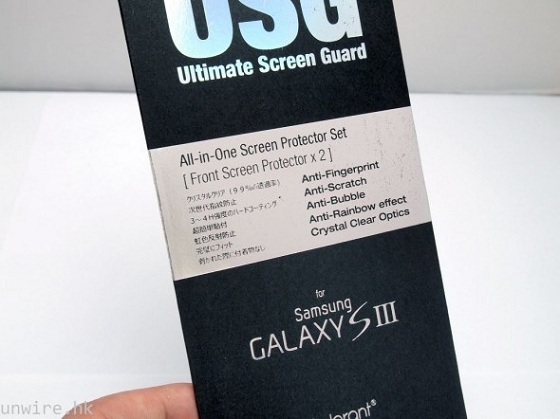 The screen protector, named as Ultimate Screen Guard has the words ‘For Samsung Galaxy S III’ printed on it and consists of two screen guards and a surface cleaning cloth. The best thing about it is that it goes on to give us an insight as what we can expect from the device in terms of design. 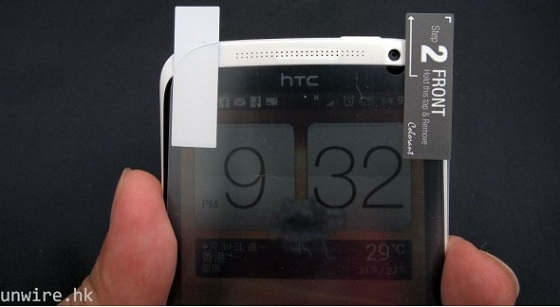 The source has tried to place the screen guard over the recently launched HTC One X which could go on to be the first in line to take the place of the top competitor apart from the Apple iPhone. 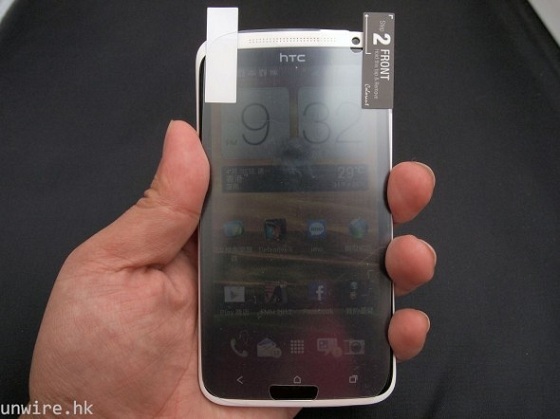 By the picture below we can note one thing that the screen guard doesn’t fit the HTC One X and is a bit large, thus confirming that the S III might arrive with a 4.8 inch screen as the One X comes with a 4.7 inch screen. 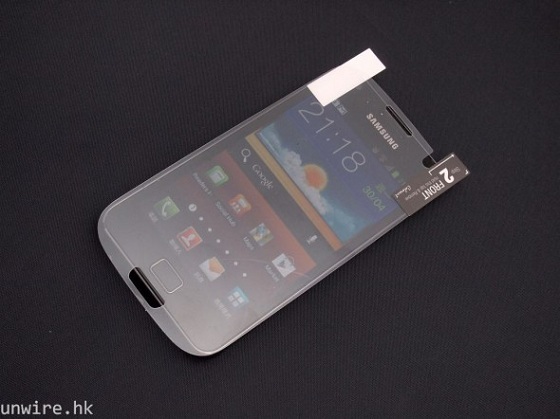 Next up they have placed the screen guard on the Galaxy S II and there again we can see the more curvy design (inspired by the Galaxy Nexus) which was revealed in the recent leak and user manual. Also we get to see that the home screen button is very much there and evidently proves that the S III will arrive with a physical button. Also the design of the button matches the previously leaked devices. 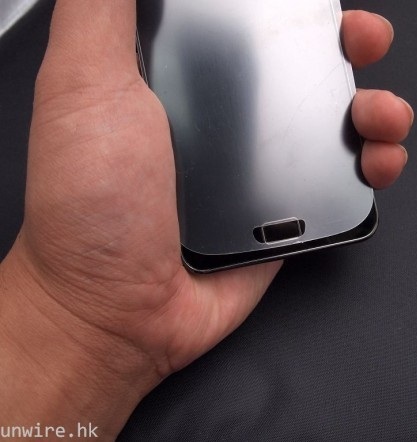 So we almost have the glimpse at the Galaxy S III which has turned out to be the most anticipated, rumoured and less leaked Android device till date. Just a few more hours and we’ll know it all from Samsung themselves straight from London. Are you ready?